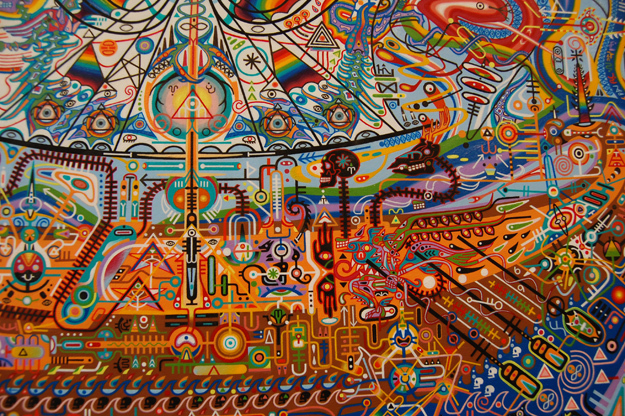 Some people like to make the claim… “DMT is everywhere!”. While this not might be technically 100% true, the ubiquitousness with which it occurs cannot be denied. Hundreds of plants and every mammal tested thus far have showcased varying levels of “The Spirit Molecule” residing within them. Being that dimethyltryptamine (DMT) is still classified as a Schedule I substance alongside heroin and methamphetamines makes it all the more perplexing. 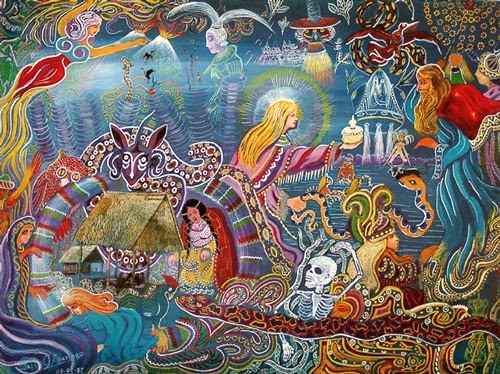 When the general public hears the word “Ayahuasca”, it generally tends to carry with it connotations of exotic plants found within the Amazonian jungle. 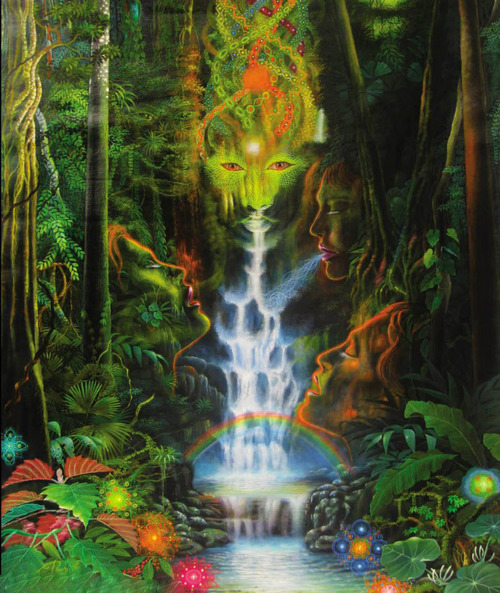 This shamanic brew is comprised of plants found within this region that contain DMT and monoamine oxidase inhibitors (MAOIs). In 2013, the Journal of Agricultural & Food Chemistry published a study regarding the occurrence and distribution of tryptamines in citrus plants. There were 6 different types of citrus plants utilized in the study including Bergamot, Lemon, Orange, Mandarin, Chinotto, and Citron. The results of the study found trace amounts of DMT in all parts of the fruit with the highest levels in the leaves and seeds. Based on the result, it makes one question what the levels of DMT might be in other parts of these citrus trees normally utilized for DMT extraction such as the bark and roots of the plant. These parts were not utilized in the citrus plant study but it is clear that the seeds of each fruit contain the highest levels of DMT. 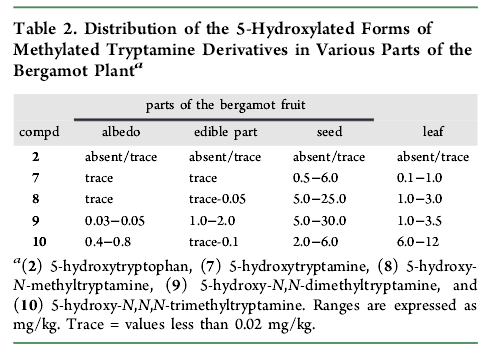 Table 3 points to the Chinotto (Sour/Bitter Orange) plant as having the highest levels of DMT compared to the rest with the seeds of this fruit likely being highest amongst them all. Who would have thought that even a plain old orange would contain DMT? 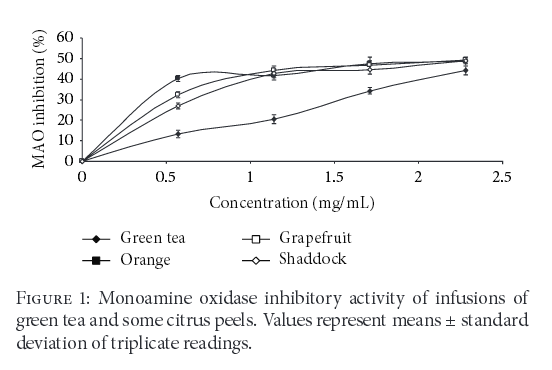 Shuffling further down the rabbit hole… a 2014 study published in the publication International Journal of Alzheimer’s Disease would compare the monoamine oxidase inhibitory (MAOI) properties and Butyrylcholinesterase activity of green tea and citrus peels (grapefruit, orange, & shaddock). The green tea and citrus peels were sun-dried for 7 days, ground to fine powder, boiled in water for 5 minutes, and then filtered. According to the results of the study, orange peels had the highest monoamine oxidase inhibitory ability, while green tea had the lowest. Who would have thought that by peeling an orange and discarding the seeds, you are essentially tossing some potential underlying components of the vaunted Ayahuasca brew? It would be an interesting follow up study to test the levels of both MAOI and DMT level variations in an orange (peel & seeds) as the fruit matures. There is the potentiality that the fruit gets either less potent as it becomes increasingly sweeter or actually gets more potent. There’s only one way to find out and science is the key I suppose. According to a 2010 study in the Journal of Agriculture & Food Chemistry, the flavonoid composition and antioxidant activity of a Chinotto orange varied based in ripeness of the fruit. The less ripe the fruit (more green), the more potent the the antioxidant scavenging capability. I have a hunch that you’d likely see consistency across much of the fruit kingdom in terms of concentrated DMT in the seeds, and MAOI properties in the peels if they were all put to laboratory scrutiny. You could always just have a person pick a few chinotto oranges (or any citrus fruit) straight from a tree and eat a few peels, seeds, and all… then sit back and see if anything happens. According to UCLA Medical Center, the Pituitary Gland (residing at the base of the brain behind the eyes) has the potentiality to experience adenomas: slow growing tumors on the gland. Some of these tumors are labeled “functioning” adenomas due to their tendency to produce an excess of particular hormones (growth hormone, cortisol, prolactin). Any tumors that do not secrete active hormones are labeled “clinically nonfunctioning adenomas”. In the case of an excess production of growth hormone (GH) due to a pituitary tumor, cases of gigantism and acromelagy have occurred. The symptoms of this disease include a large body stature compared to peers with significant enlargement of the hands and feet. Excess production of cortisol leads to excessive weight gain and easier bruising of the skin. Increased prolactin levels lead to loss of menstrual cycle in women and the potential to produce breast milk in both genders. There is much polarization amongst DMT aficionados as to whether this molecule is formed in the pineal gland or elsewhere. 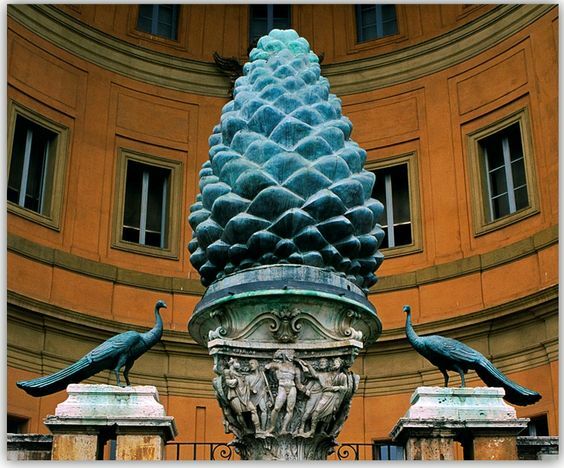 The pineal gland has been the center of much discussion in modern times and throughout history due to “pine cone” references in many of the spiritual monuments & texts. The discussion rumbles on as supporters of the DMT/Pineal Gland origin theory point to the mysterious shape and location of the gland as likely being one of the main points of origin for “The Spirit Molecule” within the body. References to famous french philosopher Rene Descartes claiming that the pineal gland is “the seat of the soul” are also cited in support of this perspective. 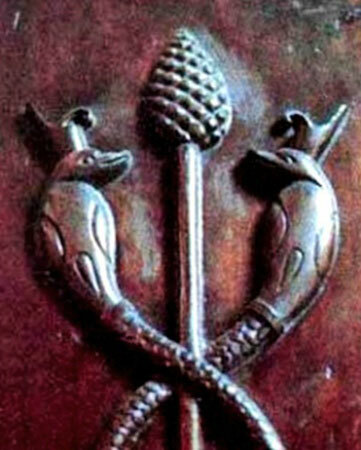 Detractors of the pineal gland/DMT origin theory will claim that there simply is no proof as it pertains to humans. It’s apparent that the 2013 study verifying DMT & DMT-forming enzymes in the pineal gland of live rats was not enough to quell the discussion. Even the lack of an alternative biochemical theory behind “dream sleep” has done little to dissuade those that claim the “science-minded hard stance”. I suppose it could be considered a noble perspective to abide by such a strict and rigid thought process. 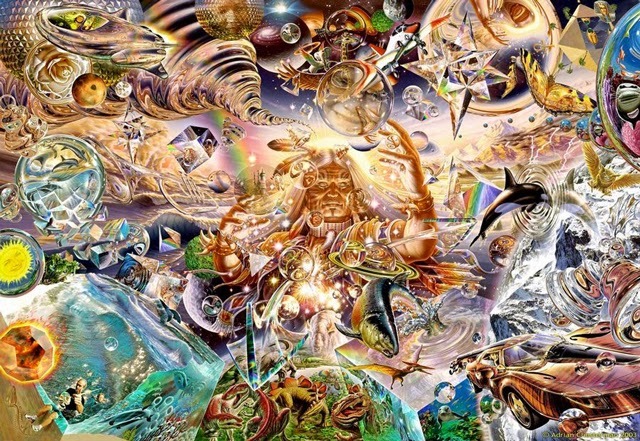 There are also artists that have designed pieces inspired by pure forms of exogenous DMT ingestion found at the site Psychedelic Electronic Art Music & Culture. 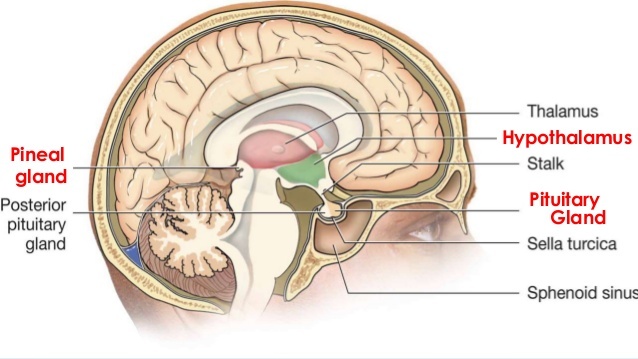 The pituitary gland reference earlier stems from the point of view that if tumors of this gland have the potentiality to affect specific hormone production rates, there would seem to be the potentiality for this to occur in other glands in the brain. The pineal gland has been verified to produce both Serotonin (a neurotransmitter) and Melatonin (a hormone). There’s only been speculation (in regards to humans) that the pineal gland is an active site for DMT synthesis. 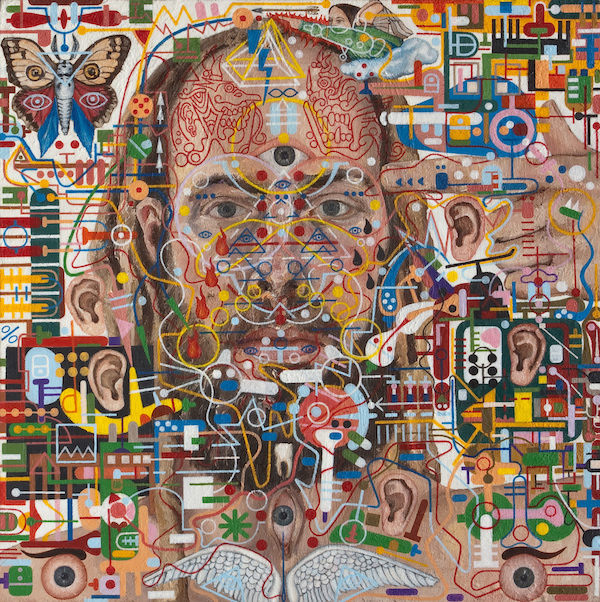 In 2014, there was the case of the artist Shawn Thornton, who had unknowingly developed a cancerous tumor on his pineal gland. 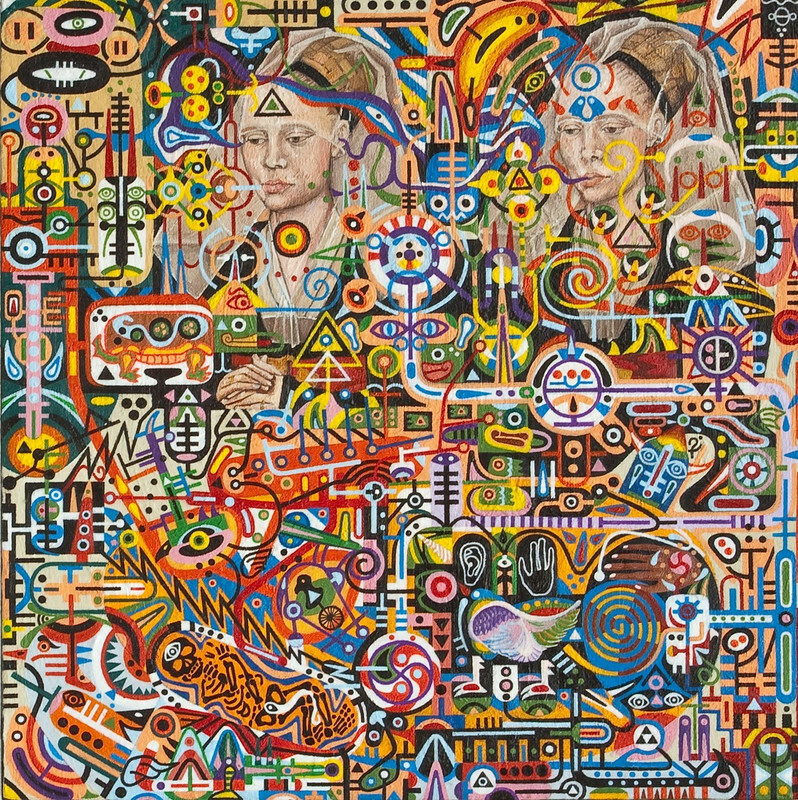 While attending art school his paintings subsequently developed a style that some would characterize as similar to DMT-like visionary experiences. While melatonin and serotonin have both been verified to adjust their levels based on circadian rhythm, it is melatonin that has been associated with periods of sleep and indirectly “dream states”. However, even after administering melatonin in extremely large doses psychoactive potentiality was never verified. Serotonin is usually produced in significant amounts during the day and has yet to be identified as a hallucinogenic compound. This turns our speculation to the pineal gland tumor of Shawn Thornton and it’s subsequent effects on his artwork. It’s been established that physical manifestations such as gigantism can occur from pituitary tumors leading to excess secretion of growth hormone. Since both melatonin and serotonin wouldn’t seem to be the culprits for inducing such visions/images experienced by Mr. Thornton, we might presume to “wildly” speculate that the culprit could be DMT (or to a lesser extent Pinoline). 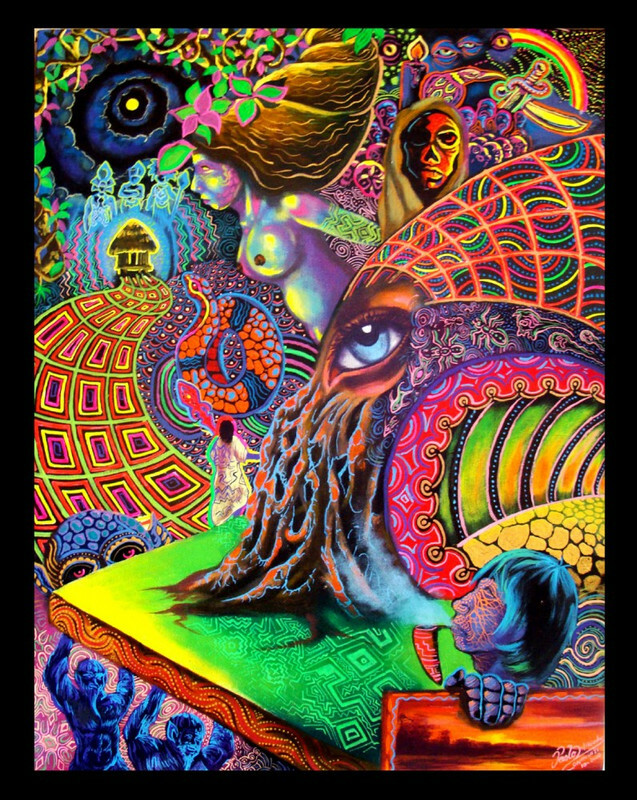 Perhaps a tumor consisting of cells that overproduce DMT led to his visions? 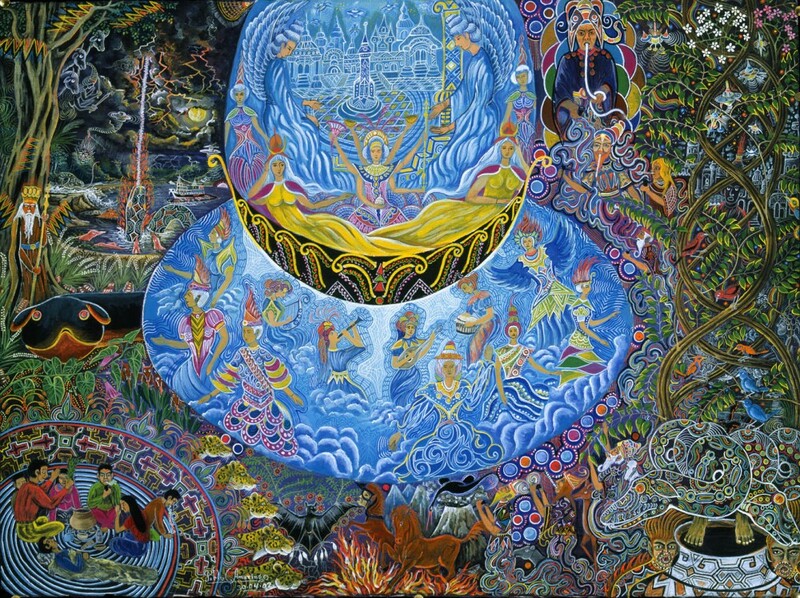 While his artwork wouldn’t be considered to be exactly the same style as that of the ayahuasca or exogenous DMT inspired drawings, none of them would be considered to be exactly the same style for that matter. However, the fact that we have yet to identify an alternative endogenous psychedelic compound to DMT, it would appear logical to presume that this might have occurred in Shawn Thornton’s case. Is this a scientific fact in the strictest of senses? Is this a practical hypothesis when analyzing the situation from a wide scope perspective? Yes from the perspective of taking in the entire body of data and analysis. I believe it’s important to understand the formal definition of the word “science”. Sometimes it feels as though an excessive amount of weight is placed upon the “experiment” part of the definition as some “science fanatics” are incapable of accepting well grounded observations. 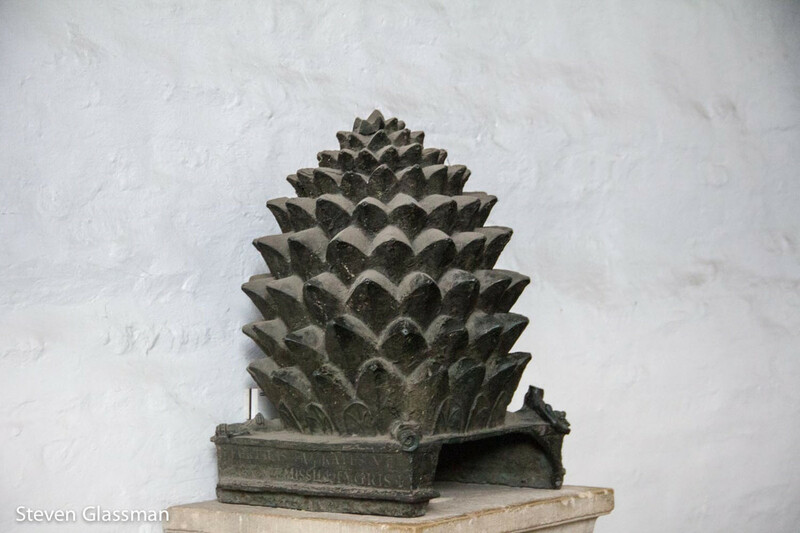 In any case, the pineal gland/DMT discussion will continue in forums and social media networks across the world as both sides make their case for absolute truths. 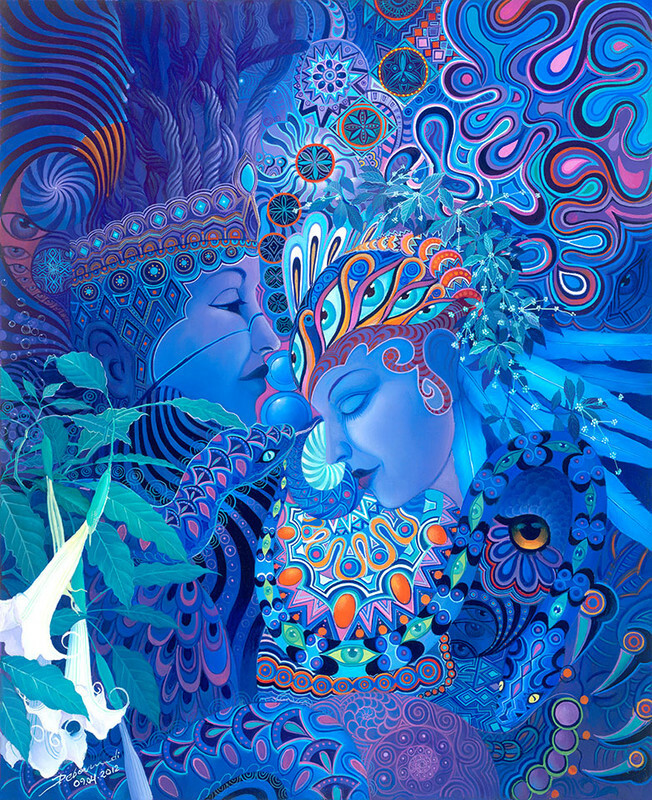 If I were a betting man… I’d be 99.99% comfortable betting that there is a direct relationship between the pineal gland and endogenous DMT formation. 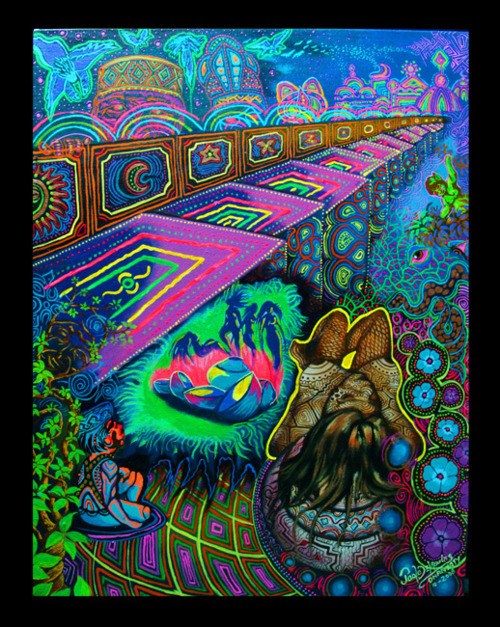 However, I definitely don’t believe that this is the only place in the body in which DMT is synthesized. This would be based on utilizing intellectual and practical activity encompassing the systematic study of the structure and behavior of the physical and natural world through observation. Experiment will take place at a later time.